As I predicted just after the 2016 presidential election, a sordid theater of blame has exploded over the state of the U.S. economy, with fingers pointing everywhere except (in most cases) at the true culprits behind the crash. Some people point to the current administration and its pursuit of a trade war. Others point to the Federal Reserve, with its adverse interest rate hikes into economic weakness and its balance sheet cuts. In today's economic landscape, the debt issue is absolutely critical. While it is often brought up in regards to our fiscal uncertainty, it is rarely explored deeply enough. Without extreme debt conditions, economic downturns cannot be created (or at least sustained for long periods of time). According to the amount of debt weighing down a system, banking institutions can predict the outcomes of certain actions and also influence certain end results. For example, if the Fed was interested in conjuring a debt based bubble, a classic strategy would be to set interest rates artificially low for far too long. Conversely, raising interest rates into economic weakness is a strategy that can be employed in order to collapse a bubble. This is what launched the Great Depression, it is what ignited the crash of 2008, and it is what's going on today. Debt is the fuel that keeps the centralization machine running. I am not talking about standard lending, though this can be a factor. What I'm talking about is debt created through policy; debt that's created in an instant through the use of subversive and arbitrary measures, like central bank balance sheet initiatives or interest rates. 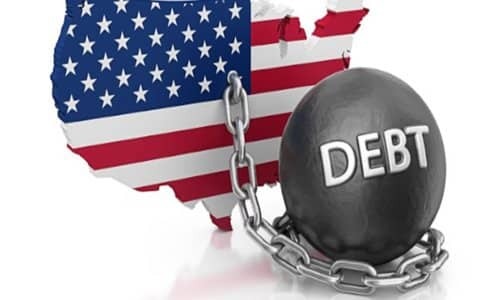 And, debt that's created through collusion between central banks, international banks, ratings agencies, and government using the removal of regulations, or the implementation of unfair regulatory standards. Debt is a drug. The banks have known this for quite some time and have exploited the opiate of easy money to leverage entire nations and cultures into servitude or self-destruction. To illustrate this point, let's look at the debt numbers today. So how can this debt be exploited to engineer an economic crisis? Let's start with household and consumer debt. One would think that with so much lending and creation of consumer debt, we would see a massive expansion in home and auto markets. And for a time, we did. The problem was that most home purchases were being undertaken by major corporations like Blackrock, as they devoured distressed mortgages by the thousands and then turned those homes into rentals. In the auto market, there was a large spike in buying driven by lending, but this lending was accomplished through ARM-style car loans, the same kind of loans with lax standards that helped cause the mortgage crisis in 2008. But what about corporate debt? Let's use GE, GM and Ford as litmus tests. GE is currently in the red for over $115 billion. And this doesn't include its pension promises to employees, which amount to over $100 billion. Given that only $71 billion has been earmarked to cover the payments, any rate hikes from the Fed constitute a millstone on the necks of GE. The likely result will be continued layoffs. Last December, GE announced 12,000 jobs to be cut through 2018, and it is likely cuts will continue into 2019. GM, with long-term debt of $102 billion (as of September) and cash holdings of around $35 billion, is now cutting over 14,000 jobs and shutting down multiple factories in the U.S. This is due, in part, to a combination of interest rate hikes and tariffs. However, the true point of fracture is because of the expansive debt that GM is responsible for. Without such debt, neither rate hikes nor Trump's tariffs would have as intense an effect on these corporations. Ford, not to be outdone by GM, is set to announce up to 25,000 job cuts, though the bulk of them may be implemented in Europe. Ford has called this report by Morgan Stanley "premature", but we saw many similar "non-denial-denials" of these kinds of info leaks during the crash of 2008, and most of them ended up being true. Ford saw its debt rating downgraded by Moody's earlier this year to one step above junk. With current liabilities of around $100 billion and only $25 billion in cash holdings, Ford is yet another company of the verge of crumbling due to huge liabilities it cannot afford to pay more interest on. We can see the stress that the Fed is able to place on corporations by looking at their stock buyback expenditures over the past few years. Until recently, it was the Fed's low interest rates, overnight loans, and balance sheet purchases that allowed companies to buy back their own stocks and thereby artificially prop up the markets. In fact, one could argue that without stock buybacks, the bull rally that started in 2009 would have died out a long time ago and we would have returned to crash conditions much sooner. Well, this is exactly what is happening today. Stock buybacks in the last half of 2018 are dwindling as the Fed tightens policy and interest rates draw ever closer to the designated "neutral rate" of inflation. All it took as a measly 2% increase in interest to create a crisis, but with the level of debt choking the system, this should not be surprising to anyone. Both China and Japan have been quietly reducing treasury holdings and purchases. Failing bond auctions have been cited as a trigger for spikes in Treasury yields since the beginning of 2018. Again, even U.S. debt and the dollar are embroiled in the "everything bubble".